Because far away isn’t, well, far enough away, we took a side trip from Madrid down to the Canary Islands while we were on vacation. The Canary Islands are a chain of volcanic islands off the coast of Africa. The Islands are still part of Spain, even though they’re so far away from the rest of the country. The climate is similar to the deserts of Africa, except the ocean moderates the temperature. 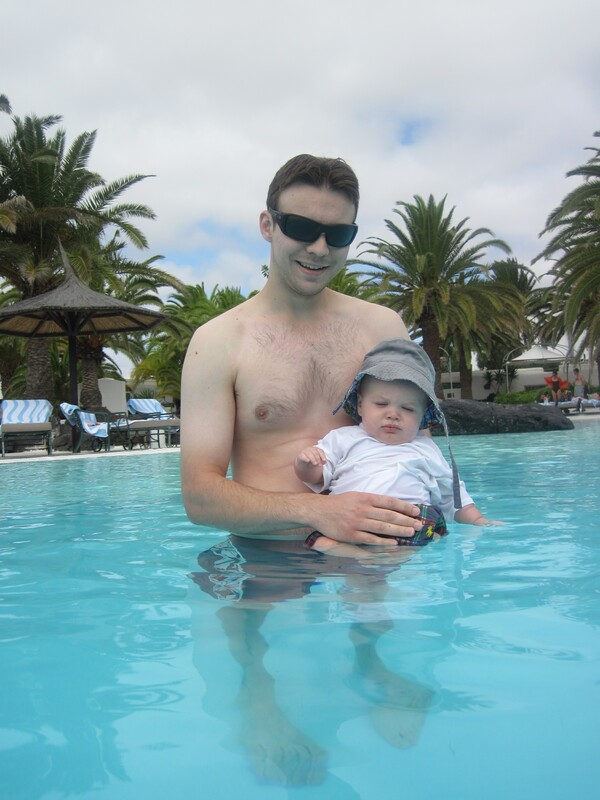 We ventured down to Lanzarote – the eastern-most island in the chain – for our mini-break. 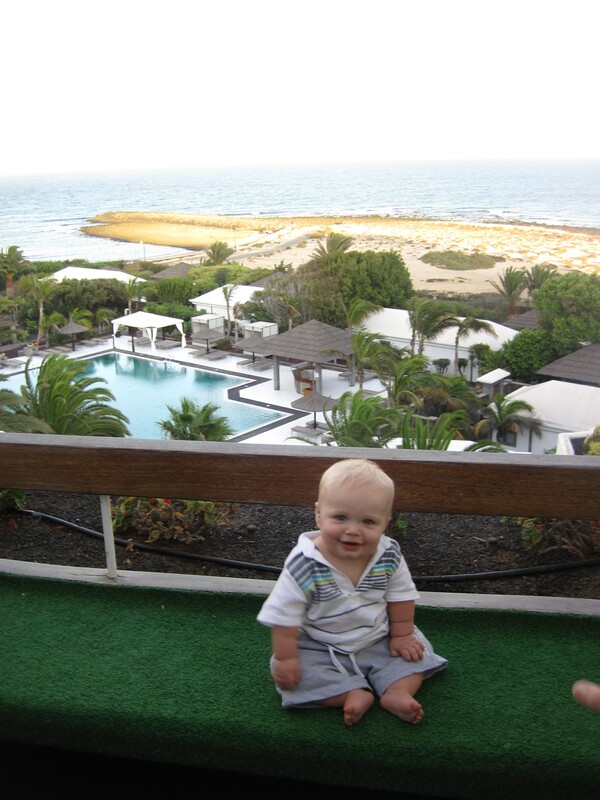 You might recall from our last post that the bus dropped us off at the hotel after Kendrick & Paula’s wedding at 5:30am… and our flight down to Lanzarote departed at 10:30! We did some speed packing and hit the airport. The airport was actually an adventure. In Spain, each flight has its own line to stand in at the airline’s check-in counter. Naturally we didn’t know that when we arrived (did we mention we were overtired and under-educated in the Spanish language?). We fumbled through an awkward conversation with someone we didn’t really understand and discovered that we actually were in the right line anyway. Turns out, “the longest line is probably the one you want” is a good approach to managing the airport. Anyway, we finally got on the plane and made it to our hotel. We were pretty beat, so we just spent the day enjoying our gorgeous hotel. We spent the day at the pool, in the hotel restaurant (the food was delicious! ), and in our room (sleeping). 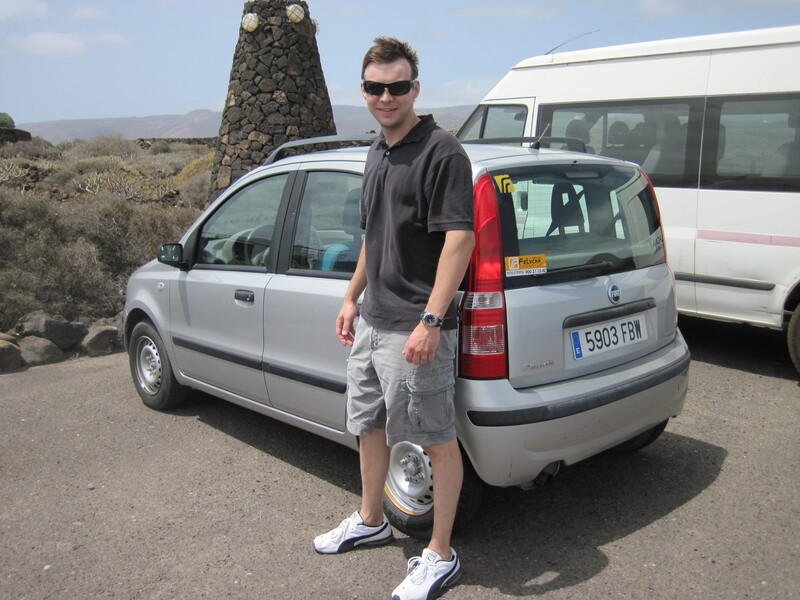 The next day we set off to explore Lanzarote in our little Fiat Panda. 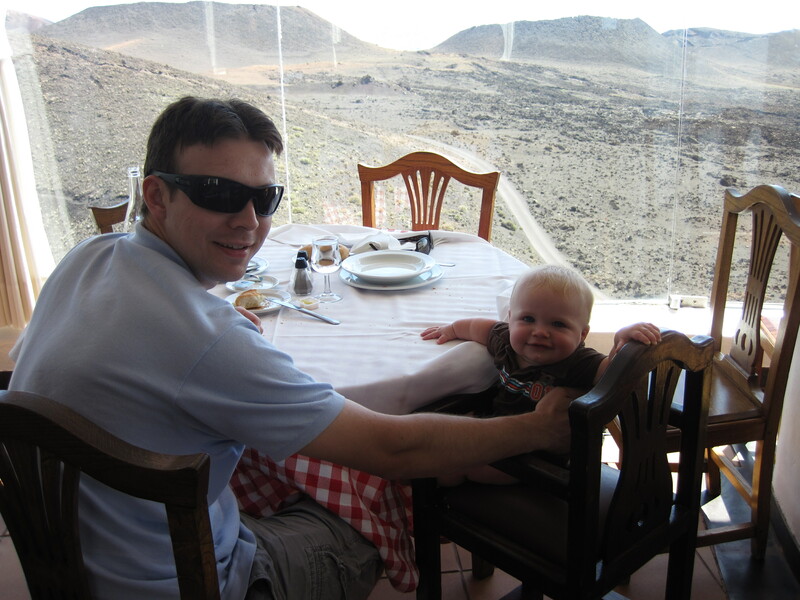 We started off at Timanfaya National Park. 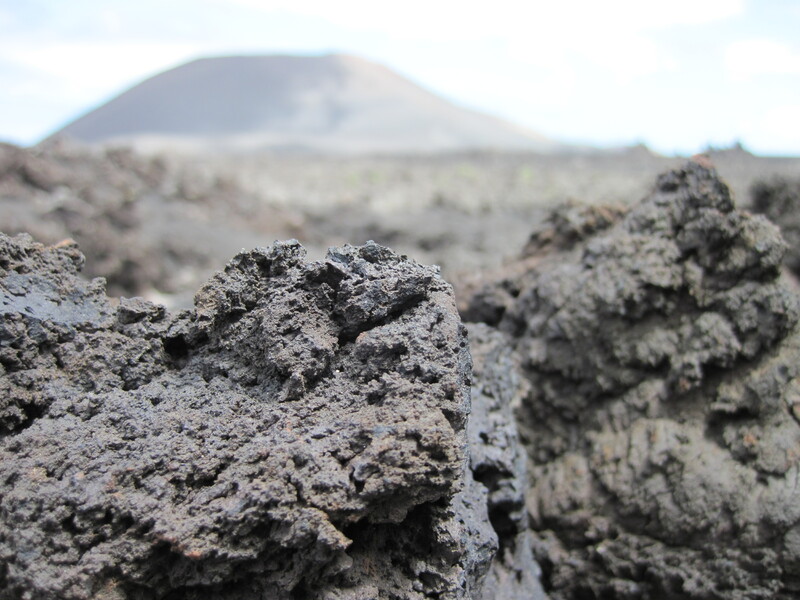 The last major volcanic eruptions on the island of Lanzarote occured in the mid-1700s, and the lava fields are now part of the national park. We took a bus tour of the lava fields and determined that the climate must be too harsh for anything to grow there (300 years later: it’s still completely barren). 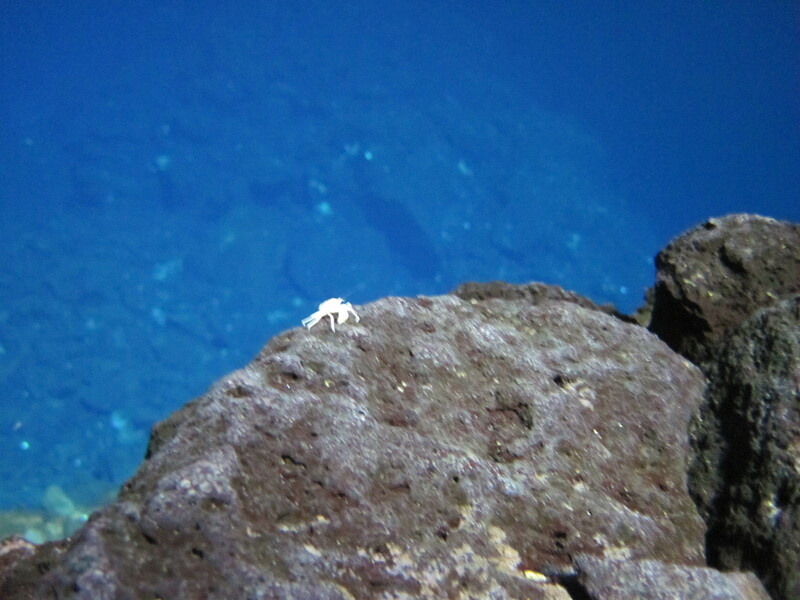 Lava continues to flow just under the surface. 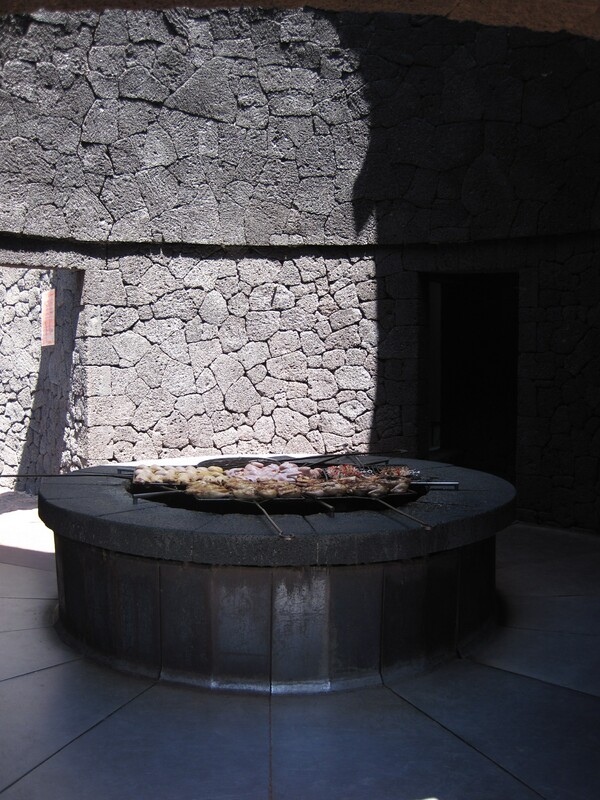 We ate lunch at El Diablo restaurant, where the dishes are cooked over a stove heated by lava! After we finished exploring the lava fields, we drove farther west to find El Lago Verde (the Green Lake). The lake is green because of the olivine – a green mineral – found in the bedrock. Unfortunately, we never found the lake. 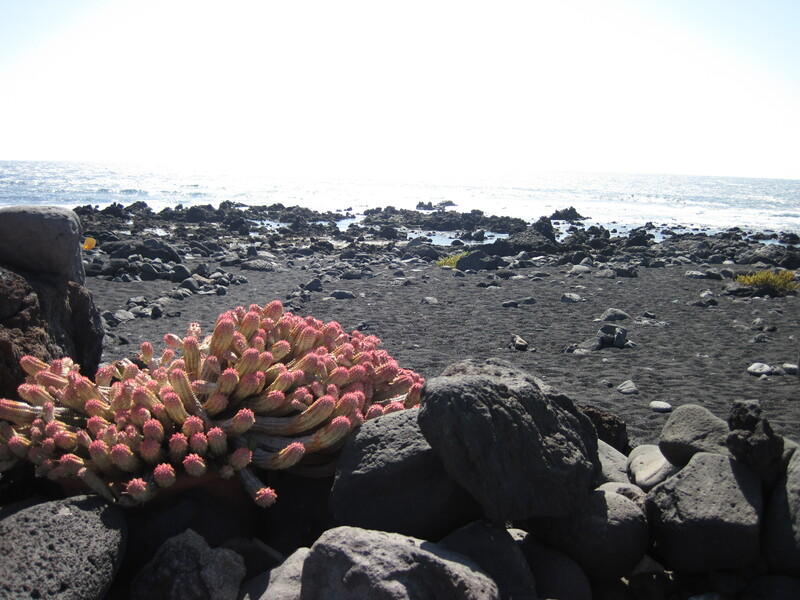 Our guidebook said that we would find the lake by following a a path from El Golfo, a very small town. We apparently took the wrong path out of El Golfo (it was the other path. Oops.). 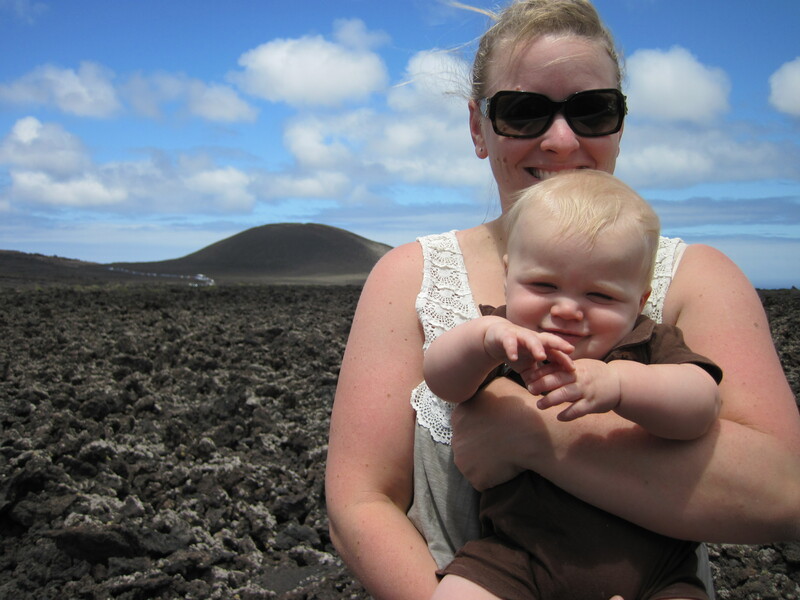 We went for a very long hike through the lava fields at the ocean and got some gorgeous pics! 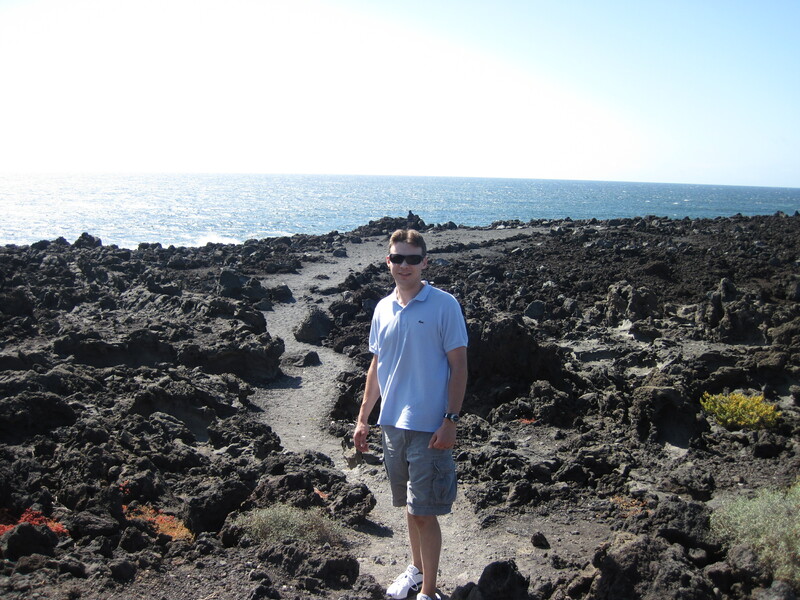 The next morning, our last full day in Lanzarote, we set off to explore the eastern side of the island. Cesar Manrique, a local artist who shaped the culture of the island, designed every stop on our itinerary. 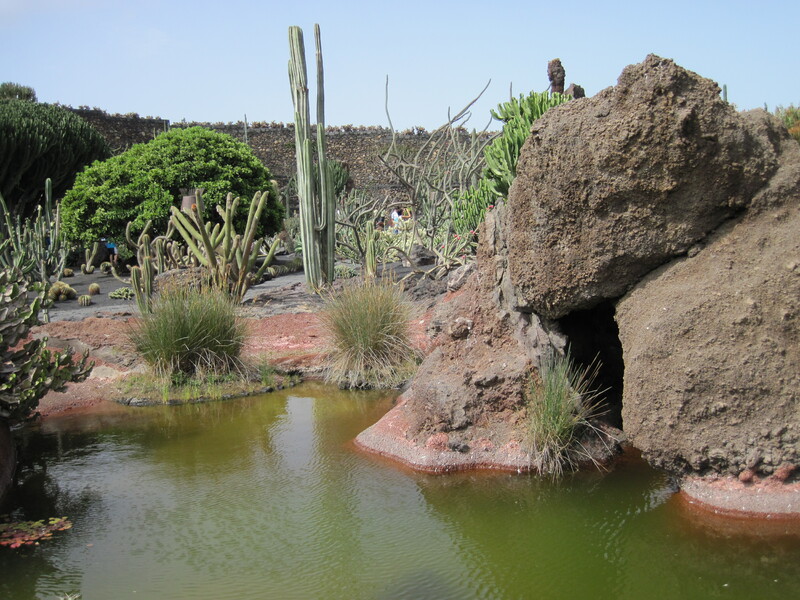 We started at the Cactus Garden, which was one of the best sites on the island. This was Manrique’s final work, built in 1991. 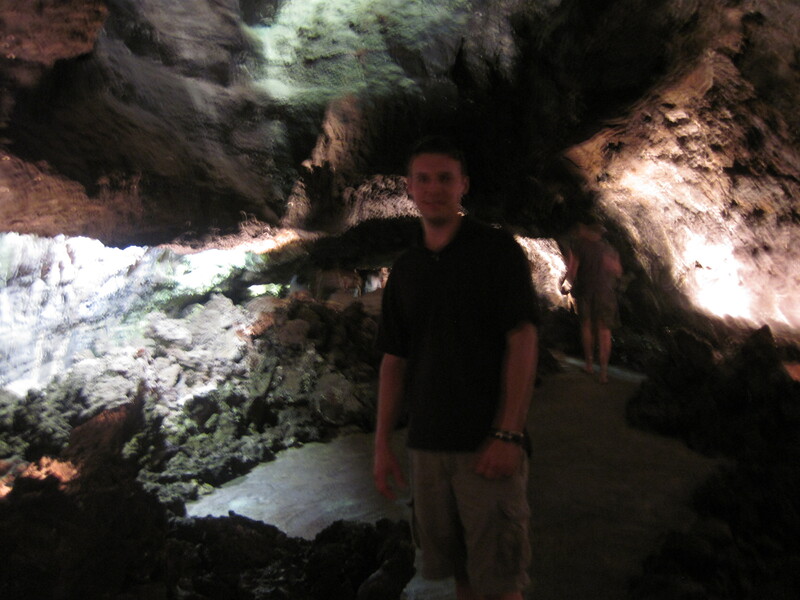 Our final stop was La Cueva de los Verdes, which is another complex cave system formed by lava flows. 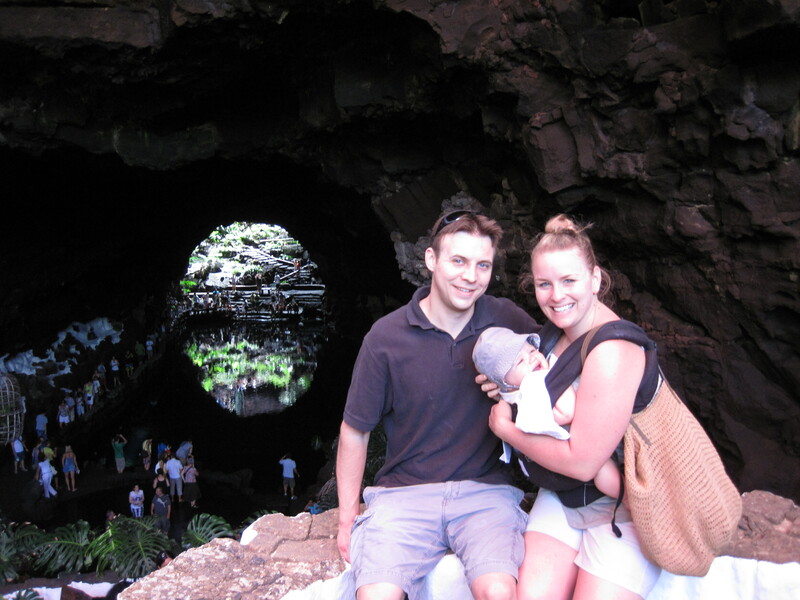 The caves created one of the longest tunnel systems in the world – over 7 km long! Only 2 km are open to the public, and we explored the whole thing. There is even a concert hall deep in the caves! 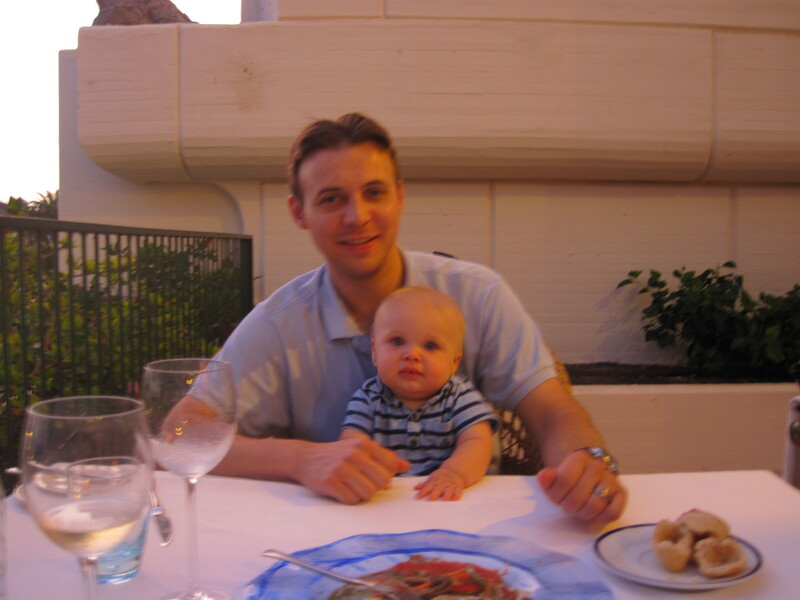 We celebrated our final night at the resort with an extra fancy meal… well, as fancy as it gets with a baby in tow. We even had a few minutes to ourselves when the waiter whisked Kasen away to culinary school (aka the restaurant’s kitchen). We left the next morning after breakfast… and so concluded our vacation from our vacation. 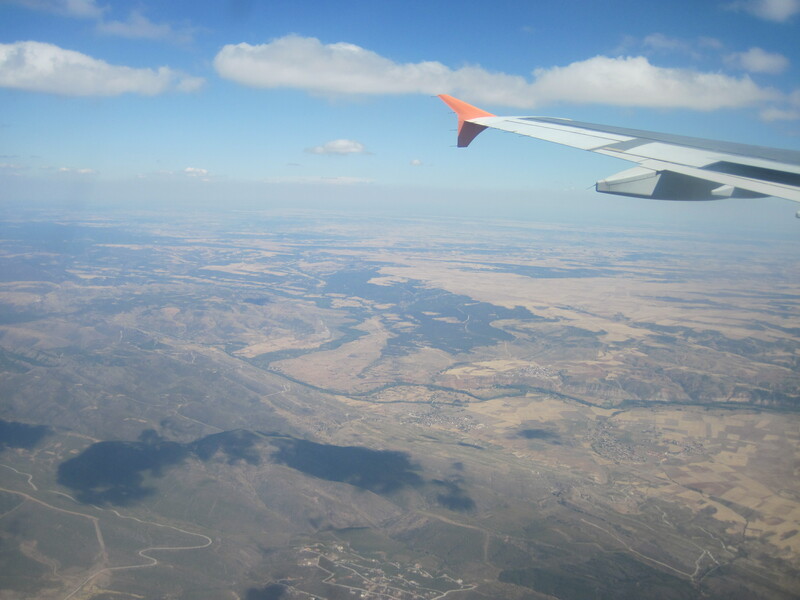 But you’ll have to wait for our next post to hear the details of our next stop (the Pyrenees)!